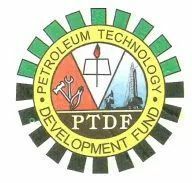 The acting executive secretary, Petroleum Technology Development Fund (PTDF), Mr Aminu Galadima, has revealed that the fund is planning on establishing a National Coordination Centre for Research and Development in Biofuels and other alternative energy sources in order to intensify effort towards biofuel production in the country. Galadima, who was speaking at the Peer Review programme for the 2014/2015 Cycle on Annual Oil and Gas Research Grant Competition, stated that the coordination centre which will handle biofuels and other alternative energy sources, will be domiciled at the National Institute of Petroleum Policy and Strategy (NIPPS) in Kaduna State. The executive secretary added that the centre was part of the fund’s effort to sponsor more research on the production of biofuels and biogas from non-edible fruits. “Resources have been committed in this area and I am glad to inform you that the result has been positive and encouraging although more work needs to be done,” he said. Galadima revealed that six awardees got grants in the Fund’s Research Grant Competition while two awardees were requested to extend their research to the pilot stage in order to improve the integrity and reliability of the products for possible commercialisation.